My name is Akash Pandey. I am 8 and live in Southern California. Together with my little sister Harmony and with the help of many other kids, we are raising funds to help the kids affected by the big earthquake in Nepal. My mom and dad say it was a big earthquake and we have seen the pictures. My dad is from Nepal and my mom has lived and worked in Nepal too. I went to visit my family in Nepal when I was very young. I still remember being with my grandma and cousins, attending my uncle's wedding, and meeting new friends. I remember visiting a beautiful old temple called Manakamana at the top of mountain. I particularly remember this place because you had to ride a cable car to get on the top of the mountain. Now it is destroyed. Many other important places in Nepal were destroyed too. Many people including kids are injured and sleeping outside. Many of them have lost their parents. As I write this almost 5000 people have been killed. I hear a lot of organizations are raising money to help the victims. I am sure some of that money will go to help small kids too. We thank everyone who is praying, helping and giving money. While the grown ups are doing their part, my sister and I thought we, the kids can also help. My sister and I have already started fundraising. We would like to request you to support our effort and donate. You can donate any amount you like or wish us good luck or both. We will send the money to a trusted group in Nepal. Each penny collected will go directly to help the kids and their family - like buying them food, clothes, shoes, foods, and toys. We hope their schools will be rebuilt so that they can go back to school soon. My dad and mom tell me that $1 can feed 4 kids a good meal. After all, kids don't eat a lot. Will you please help in our effort? We wanted to write this note of appreciation to thank all of you for supporting Akash and Harmony with their ByKids4Kids campaign as they teamed up with their friends to raise money for needy children in the aftermath of the Nepal quake. Akash and Harmony also send a big Thank You to you personally. Some of you supported their campaign by donating $$, while others spoke words of encouragement. Some kids emptied out their piggy banks to support the cause and kids from other countries also participated and helped. There were many other kind gestures from people we know and strangers towards our kids that were very touching. The fundraising efforts were covered by two newspapers, although the kids never sought any publicity. They simply wanted to help. 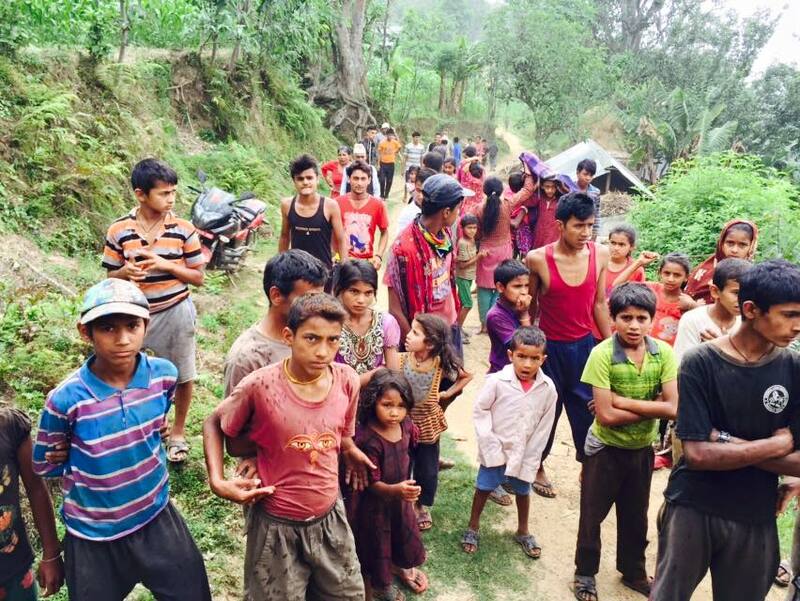 We are grateful to the Ventura County Star and the Acorn for covering their campaign and helping raise awareness about the situation in Nepal. As a matter of fact, conejocompassion.org recently read Akash and Harmony's article in one of the newspapers. They contacted us this week and want to donate $1000 to Nepal. 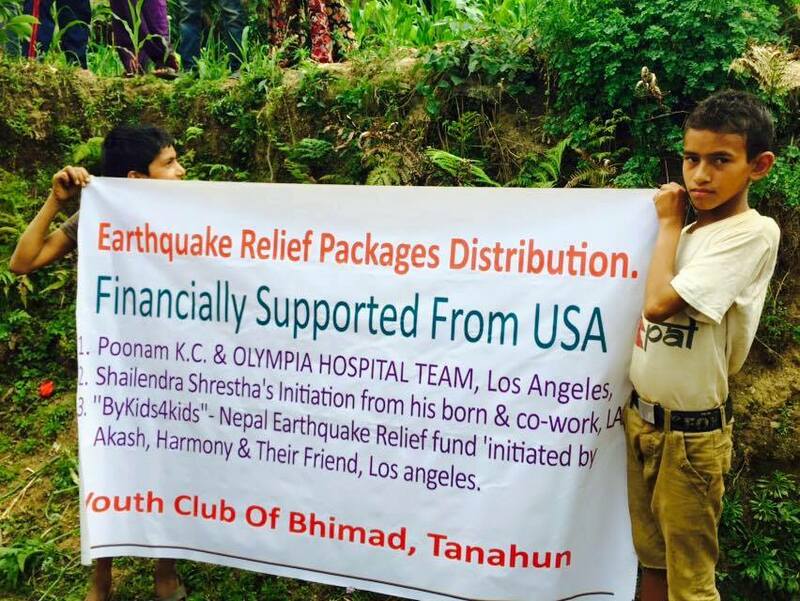 Needless to say, Nepal could use every penny from donors like them and you. Our kids learned many valuable lessons from this experience that will last a lifetime. It also gave us a moment to realize that the world is still full of beautiful people who care deeply for one another. Thank you for giving these kids a chance to make a difference and keeping a sense of humanity alive. Akash and Harmony are now starting a new school year. Sure, they will be busy with their school work and other daily chores, however Nepal will still be on their minds. Knowing them, we believe they will continue to seek ways to help the less fortunate whenever they can. In the meantime, they have officially stopped accepting any donations through their GoFundMe site. Overall, they raised $2600. They also raised additional money from the sale of their KidsLoveKids T-shirts and recycling project. BTW, you can still purchase those T-shirts by contacting me or sending a request at bykids4kidsofnepal@gmail.com. They have already distributed $1100 from their fund to help various relief efforts including a school rebuilding. An additional $1000 has been pledged to the Gorkha Foundation, while the remaining amount is being arranged (with the help of our friend Sunita) to sponsor 2-3 Dalit kids in Nepal get the education until high school. The Gorkha Foundation is working in the Gorkha district which was very hard hit by the earthquake. They are helping to rebuild schools, distribute supplies, and provide sustainable economic and psychosocial support for victims of the earthquake. Jo Anne visited with some of the volunteer leaders of the project -- in fact, everyone is a volunteer, they do not have paid staff, while she was in Nepal and was very impressed by their organization. Upon her return, she spoke with the kids about the Foundation and they wanted to help. As promised with the ByKids4Kids campaign slogan, Akash and Harmony wanted to make sure every hard earned penny you donated would go directly to the victims. Apart from using your donation to provide some immediate relief materials to needy children right after the quake, they wanted to spend the remaining money towards helping with kids education. We hope they were able to make the best use of your donation. Hope your summer is going good. We are continuing to raise fund for needy kids in Nepal. We just posted a video of kids receiving relief packages bought from the money sent to us by you. We thank you very much for supporting our campaign. In this video, the kids also talk about their damaged schools and they have no school to go to. We have pledged to donate $500 from this fund to help build schools in Nepal. On, May 14th, 2015 we sent more money ($350) to our trusted local volunteers on the ground who are working day and night to help the people affected by the earthquake. In Nepali that is 35,000 rupees which is a lot of money. Like we said before $1 can feed 2-3 kids for the day. So, your money goes a long way to help needy kids in Nepal at this time. Thank you very much for helping. The money we sent before was used to buy clothes, soccer balls, school supplies, and food. Here are some pictures and videos of the kids we received from our volunteers. You can see in the pictures how happy they are. Our next project is selling "kids love kids" t-Shirts that we designed with love and care to raise money. Our message is simple. Kids from all over the world love kids in Nepal during this difficult time. 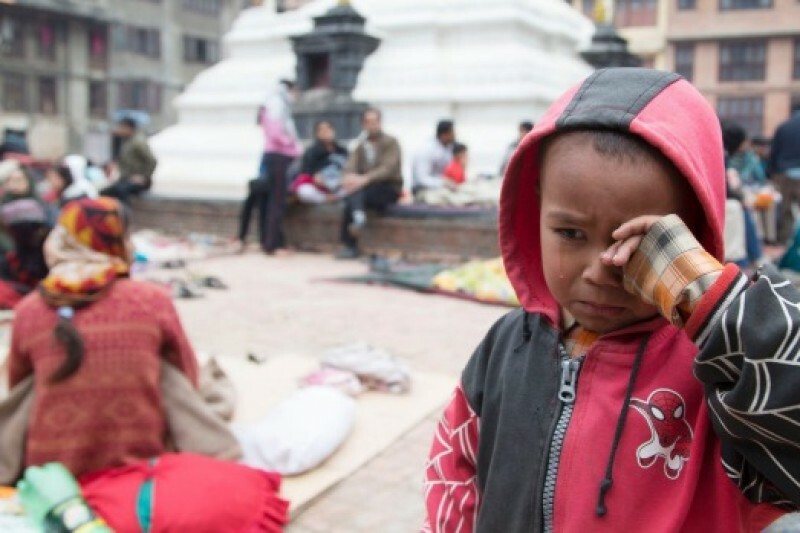 Every penny we raise will go directly to help kids in Nepal. Did you know the rainy season is coming? This will bring a lot of mosquitos and many other diseaes. We want to provide the kids with mosquito nets, rain jackets, boots, and more clothes and toys. Kids love toys. When the kids get all these stuff that they were not expecting, we hope it encourages them to go to school and continue to learn. If you would like to buy or help us sell t-Shirts, please contact us at bykids4kidsofnepal@gmail.com. Finally, we have lots of ideas on how to help. If you have any ideas, please share with us. Our Bykids4kids campaign is going great. Thank you for your donation. We also want to specially thank those who donated their piggy bank. We made some new friends from this campaign. Thank you for being our friends. On May 5th, my sister and I sent $300 collected from our campaign to Nepal by Western Union. We sent money to helpers on the ground. I asked them to use the money to buy clothes, food, medicines and toys for the kids. My sister recently raised $407 in one day from her friends. We will continue to send money to Nepal. We have many other fundraising ideas. If you have ideas you would like to share with us, please contact us. My parents tell me we need to pick out 1 or 2. Our next goal is we would like to do a challenge - challenge to all the kids to donate their piggy bank money to help kids in Nepal. We like to call this - "Donate your piggy bank Challenge". Please consider donating all or some of your Piggy bank to our GoFundme site. Please pass this message to your friends and ask them to join our challenge. Thanks for setting up this donation, it is a great cause. Harmony and Akash, we are so proud of you both for helping kids in Nepal and being so thoughtful. Thank you for having such a BIG HEART. We love you.